Choosing lifestyle strategies to reduce their risk may be the best hope for most men. Prostate cancer currently claims 80% of men by the time they are 80 years old. But because it can take decades to develop, men have the opportunity to choose prostate cancer prevention lifestyle strategies. Researchers in Italy studied 60 volunteers with high cancer risk who had tested positive on biopsy for high-grade prostate intraepithelial neoplasia (HG-PIN). PIN is a prostate cancer test that has become an accepted sign of premalignancy. Men who have a positive biopsy for PIN are considered at high risk for prostate cancer. 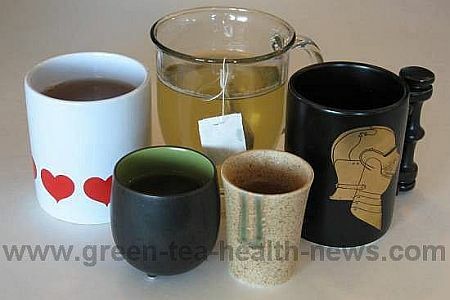 The volunteers were divided into two matched groups and took either 3 capsules (200 mg. each for 600 mg. daily) of green tea daily for one year or a placebo daily for one year (Bettuzzi S et al, Chemoprevention of Human Prostate Cancer by Oral Administration of Green Tea Catechins in Volunteers with High-Grade Prostate Intraepithelial Neoplasia: A Preliminary Report from a One-Year Proof-of-Principle Study, Cancer Research, January 2006). At the end of the year, only one man in the green tea group had developed a tumor while nine men in the placebo group developed tumors. These results of reducing the risk of 90% of prostate cancers were statistically significant, although conclusions are considered preliminary. In the green tea group, International Prostate Symptom Scores improved significantly, urinary tract symptoms improved, and there were no side effects. The annual cost of daily green tea is estimated at $120. The recent Prostate Cancer Prevention Trial (NCI, 2003), studied finasteride, a drug currently approved for benign prostatic hyperplasia. Researchers tested finasteride for prostate cancer prevention with 18,882 men for approximately 7 years. They studied only men who were low risk by testing negative for prostate cancer. The results showed that finasteride stopped 25% of prostate cancer with side effects including impotence, loss of libido, as well as an increase in aggressive high grade prostate cancer. The annual cost of daily finasteride is estimated at $800-$1200. Side effects from daily aspirin can include gastrointestinal bleeding. While these results are considered preliminary, other studies show similar results. Many positive results have been attributed to EGCG, epi-gallocatechin gallate, the primary polyphenol catechin antioxidant in green tea. Take advantage of regular early testing , especially if you are in a high risk group (African-American, over age 55, family history of prostate cancer). Discussions with your health care provider should include safe and inexpensive lifestyle changes such as daily green tea and low fat diets (check this list of high saturated fat food).